Prior to VMware vCenter Server Appliance 6.x, upgrading or patching vCSA was as simple as a few button clicks in the appliance UI. Gone are those days, as VMware has replaced the appliance UI with a DCUI and the web based install wizard during setup. 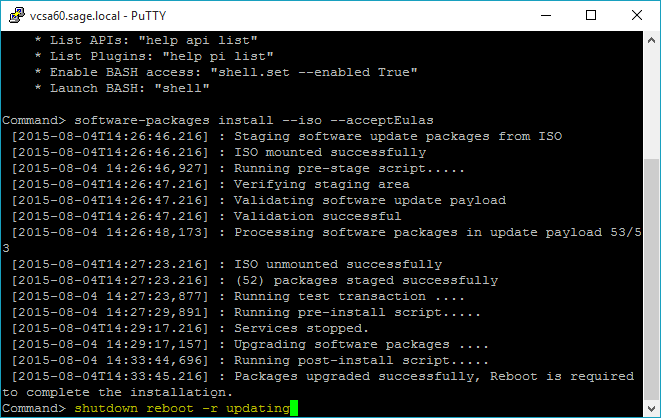 The good news is, upgrading or patching the vCSA 6.x is still pretty simple via the command line! Download the vCSA .ISO patch from VMware. 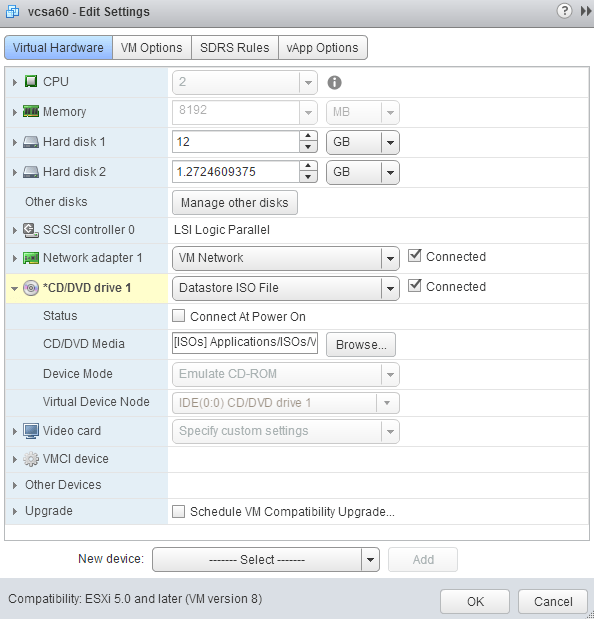 Upload the ISO to a datastore the vCSA has access to and mount the ISO to the vCSA virtual machine. 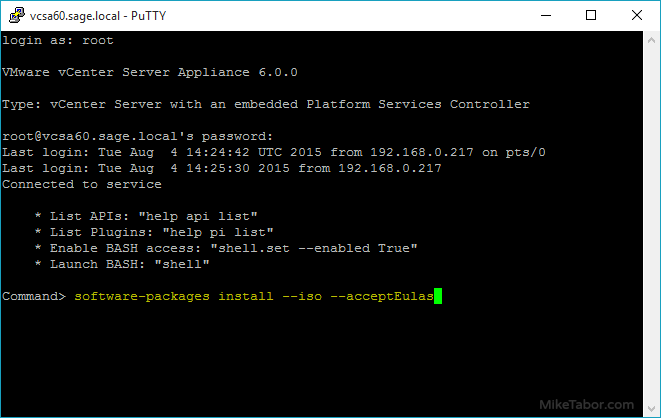 Connect to the vCSA via SSH using PuTTy or your choice of client. 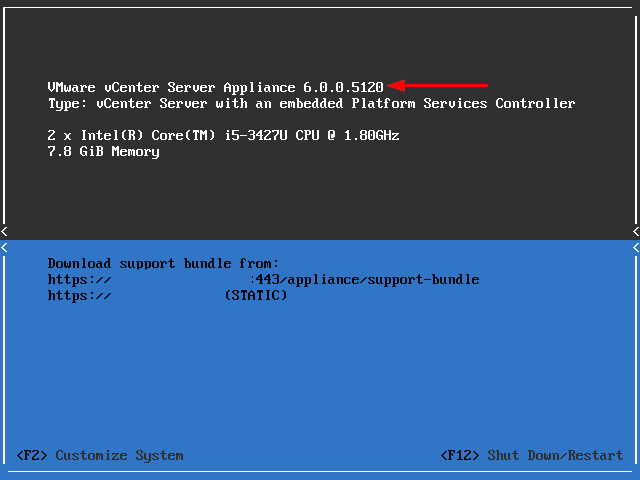 And that’s it, sure it’s not the old (5.x) appliance UI but still pretty darn easy to update your VMware vCenter Server Appliance with the latest build. Any idea why there are so many partitions on the 6.x appliance? I count 11 disks. The 5.5 appliance has 2 disks. This is by design and allows for more control and makes it easier when needed to perform a drive size increase.